How to use Venus Silk-expert in simple steps. Remove all visible hair in the area you wish to treat. Ensure there is no hair remaining above the surface of the skin. Then pat your skin dry. 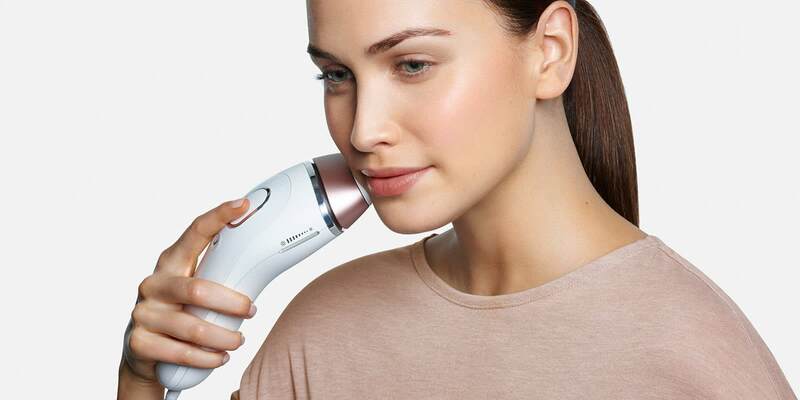 Plug in the Venus Silk-expert IPL. For larger body areas use gliding mode: hold down the button and treat along your skin. For smaller areas, press and release the button. For sensitiveareas or if it’s your first time, you can use the gentle or extra gentle mode. In the first phase of your treatment, treat once a week for 4 - 12 weeks. Then adjust to your needs. The result is permanent visible hair reduction. Preperation - All you need to know before you start your treatment. 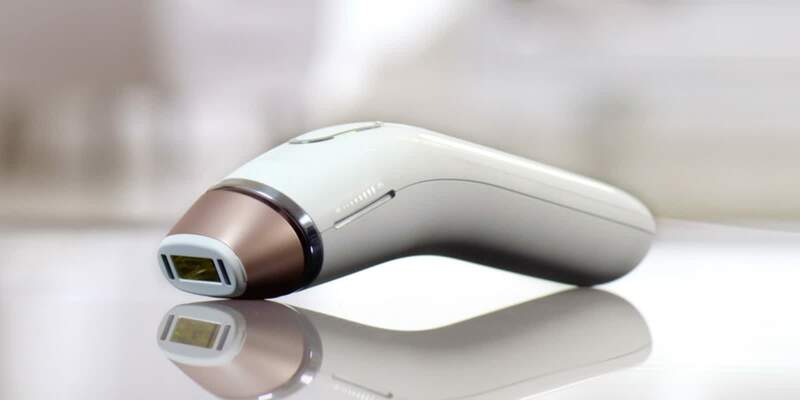 If your skin tone got darker due to artificial or natural tanning and your skin does not suffer from any irritation the Venus Silk-expert IPL device can be used as it will automatically adjust the energy level to the safest and most efficacious level and it will also tell you should your skin have become to dark for treatment. Men can use Venus Silk-expert from the shoulders down (chest, back, arms, stomach, legs). It should not be used on the face, neck or genital area. 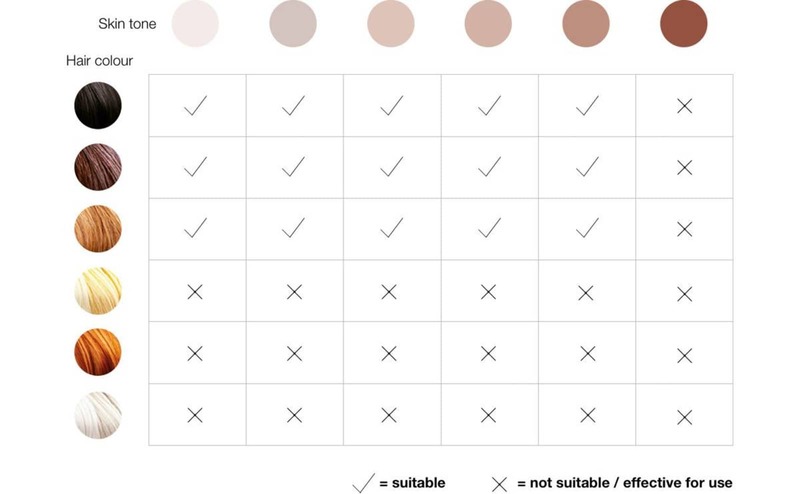 Venus Silk-expert is safe for use on the face below the cheekbones. It shouldn’t be used near the eyes and along the forehead. It works effectively on the upper lip, chin and jawline. We recommend doing a patch test before use. The typical hair growth cycle varies between individuals and could take up 16 months, depending on body area (underarm, lower leg and bikini area can take the most time). Since only hairs in their growing phase are susceptible to treatment with light, it is important to do multiple treatments to achieve continuously smooth skin. For this reason, we recommend a start-up phase of 4-12 weekly treatments to achieve optimum results. If you no longer see hair growing, you do not need to complete the full 12 weekly treatments. You can switch to maintenance treatments. Do not expose treated areas to the sun. Wait at least 7 days after treatment before exposing treated skin to direct sunlight. Your skin may be extra sensitive following IPL treatment and particularly susceptible to sunburn. Apply sunscreen (SPF 15 or greater) to the treated area or cover the treated area with suitable clothing. Can Silk-expert IPL be used by women who are pregnant or teenagers? 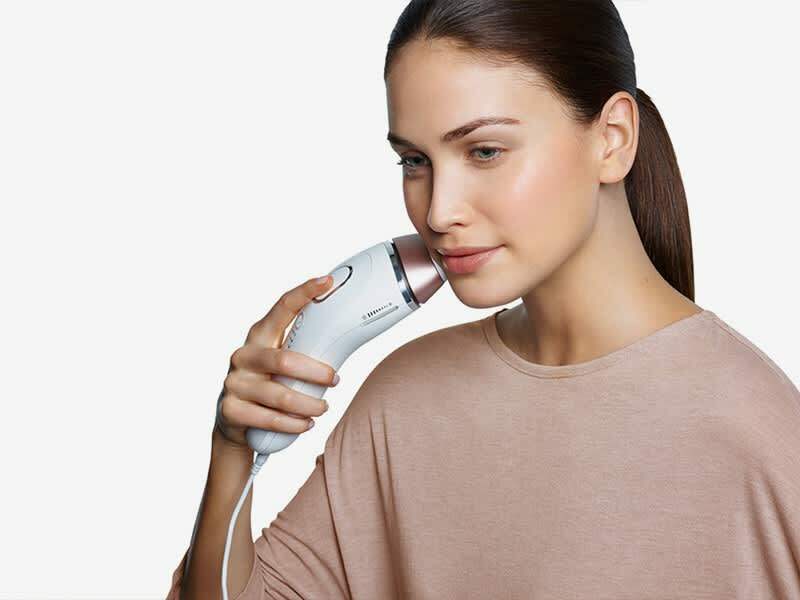 Venus Silk-expert IPL works without the need of additional lotions or gels and there is no need to purchase replacement lamps like with other devices. 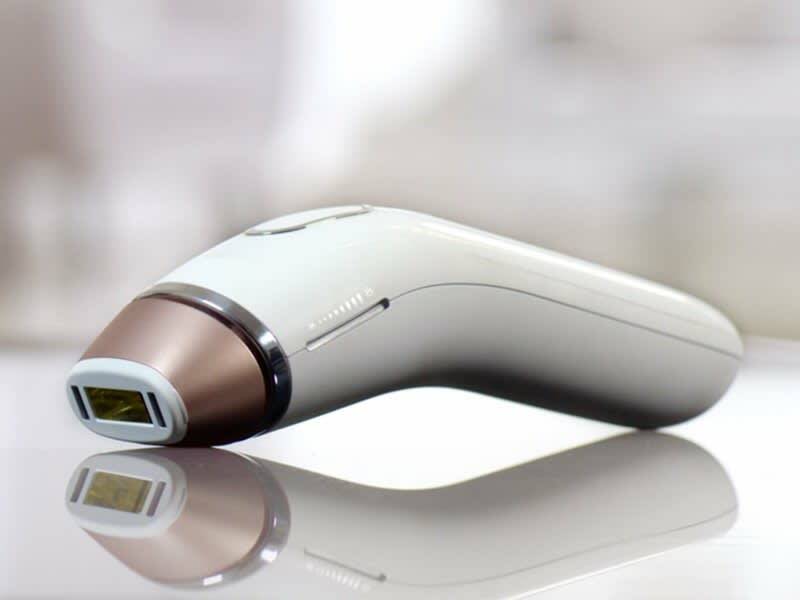 The only IPL with an intelligentSensoAdapt™ skin tone sensor. 7 reasons to IPL at home with Silk-expert.